Take a look at this submission from Jerome, one of my subscribers. 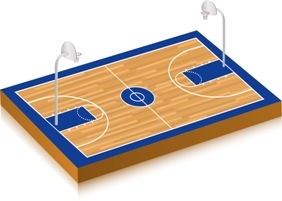 A great idea for a drill for [tag]basketball defenses[/tag] that can work with all age groups. 1. The defender must forearm check/stop the opponent from posting in the prime area of the paint (the block)! Meet defender before the block and..
2. Apply pressure to the opponents hip or back depending on how tall he/she is so that you can maintain position and not get backed down to the paint. 3. Bend your knees and spread them so that your body is under you as you position yourself, so that you can react to any turn or quick move. The purpose for this style of [tag]basketball defense[/tag] is to deny the physical position of the opponent and make him/her catch the [tag]basketball[/tag] out of a preferred position! Just examined the topic. Awesome work. Thanks anewanius! If there’s anything in particular you’d like more info on, feel free to ask! hi nice post we have going here!